The vineyard in Valdestillas is on the banks of the rivers Duero and Adaja. lt covers more than 100 ha at an average altitude of 740 m above sea level and has a continental climate. The soil, of alluvial origin, is very suited for vine. cultivation: particulary Verdejo, native to the Rueda district. Harvest takes place at night in order to avoid high temperatures, which minimises oxidation and raduces the risk of undesirable soaking and loss of aroma. Fermentation takes place in stainless vats for I5-20 days. After 2-3 months, the wine is then stabilized, filtered and bottled. Straw-coloured yellow with greenish reflections. 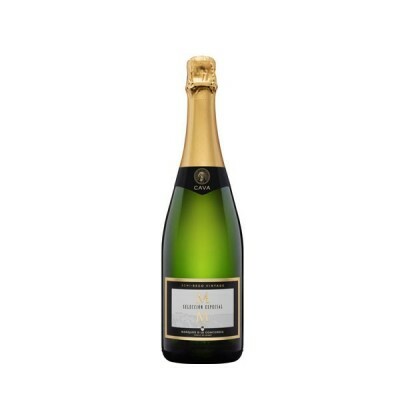 An intense, delicate aroma, with both white stone fruit flavours and hints of herbs. Round in the mouth. smooth and creamy. with a pleasant final tairtness giving It great persistency.